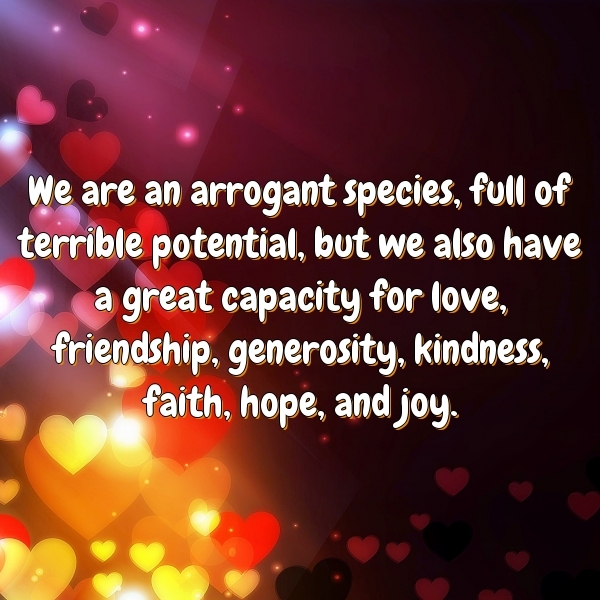 We are an arrogant species, full of terrible potential, but we also have a great capacity for love, friendship, generosity, kindness, faith, hope, and joy. It is in doing things and not reading about them that results come about. All comes at the proper time to him who knows how to wait.